KANJI SEGAWA (Kanagawa, Japan) began his modern dance training with his mother, Erika Akoh, and studied ballet with Kan Horiuchi and Ju Horiuchi in Tokyo, Japan. In 1997 Mr. Segawa came to the U.S. under the Japanese Government Artist Fellowship to train at The Ailey School. Mr. Segawa was a member of Ailey II from 2000–02 and Robert Battle’s Battleworks Dance Company from 2002–10. 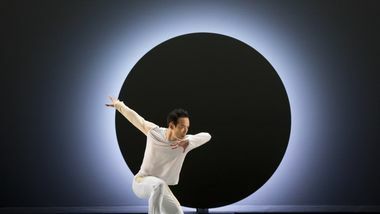 Mr. Segawa worked extensively with choreographer Mark Morris from 2004–11, repeatedly appearing in Mr. Morris’ various productions with Mark Morris Dance Group, including as a principal dancer in John Adams’ Nixon in China at The Metropolitan Opera. 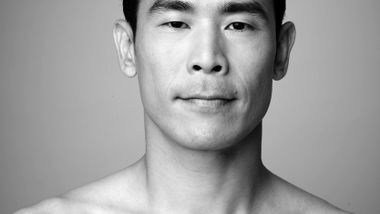 In addition, Mr. Segawa has assisted and worked closely with choreographer Jessica Lang since 1999. Mr. Segawa joined the Company in 2011. When Christopher Wilson, FCLC ’17, found out that he had made the company of the Alvin Ailey American Dance Theater, he immediately called his mother, who screamed and dropped the phone. “It took, like, a good two minutes for her to come back to me, so I just sort of sat there, just listening to her, and I was also crying at the same time,” he said. Memories, spirituality, and love encircle Choreographer Jessica Lang's EN, a Japanese word meaning fate, karma, and destiny. In her interview with the Dance Enthusiast, Lang highlights EN as a. journey celebrating her husband, Kanji Segawa, and her intimate connection with the Alvin Ailey American Dance Theater.